Leidos is providing education and training services to help students and workers develop their skills and empower the country’s workforce in support of the White House’s Pledge to America’s Workers program. The company said Wednesday it will develop learning programs encompassing apprenticeships, continuing education, reskilling, on-the-job training and work-based education for more than 2.1K recipients throughout the next five years. 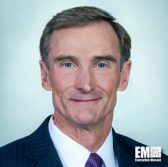 “We live in an uncertain and evolving world that is becoming more digital and more connected at ever-increasing speeds, and we need a skilled workforce equipped to tackle the corresponding challenges,” said Roger Krone, chairman and CEO at Leidos. The technology firm seeks to provide Americans with opportunities supporting their entire careers.